In actual practice, the propeller is the most important parts of a wind turbine. It is the functioning part. They are made in such a shape to obtain the proper function. The blades of a propeller are designed in the shape of a cambered airfoil, having a characteristic shape with a rounded leading edge, followed by a sharp trailing edge, often with asymmetric camber. We know, Wind power is the fastest growing renewable energy source in the world. Horizontal axis wind turbines are most popular wind turbine design. There are several factors that affect the efficiency of a Horizontal axis wind turbine propeller. 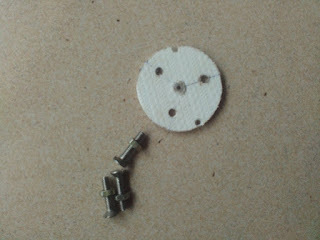 But here we are going to make a working model of a wind turbine or home made mini wind turbine. So, We don't have to mind the factors listed above. Just make a simple mini wind turbine for your kids. Watch this video. You will Like it!! 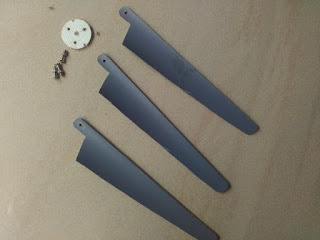 How to make a Home made mini wind turbine propeller? 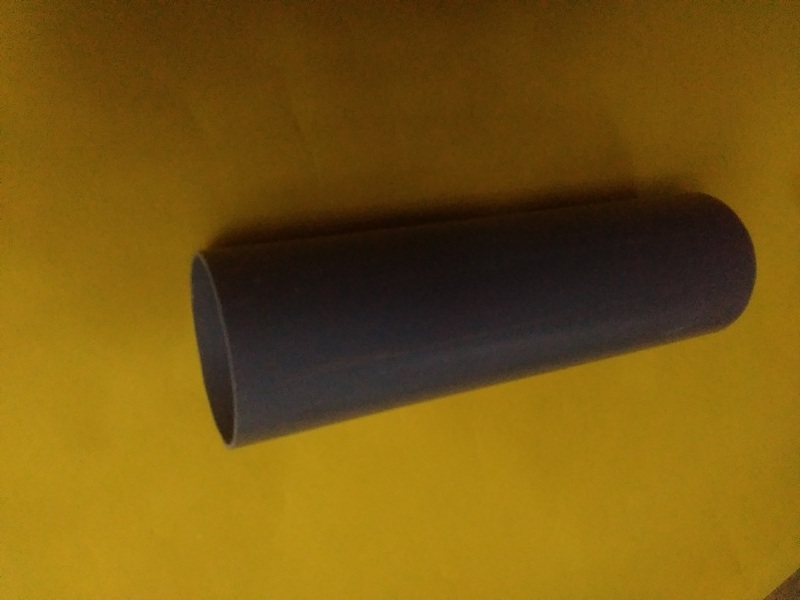 Buy a piece of PVC PIPE from a hardware shop. Cut it into three equal parts. Watch video. Then again cut each three parts in to two. Take three from six identical blades. Use a drill to make holes at one end if the pieces. Fine the edges using the cutter. Make holes as shown at equal distances. Join three blades to the round base using cycle screws. TIghten the screws using a spanner. 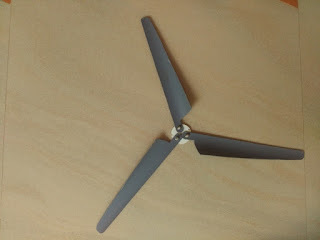 Home made mini wind turbine propeller is ready. An airfoil is designed so that the air moves more rapidly over its upper surface than its lower surface. When the airfoil moves in the air, the speed of the air over the foil will be more than that of speed at the lower surface. The basic principle behind the working of an airfoil is Bernoulli's principle. It is a relation connecting speed of a fluid and pressure. The principle states that "the pressure of a fluid decreases as the speed of the fluid increases". Actually the principle behind the lifting of an airplane is Bernoulli's principle.